اسلام کی میراث کسی ایسی قوم کو ملنے والی ہے جو نہ منافق ہو گی نہ متکبر، نہ جہالت پسند ہو گی نہ غیر منظم. "Jo log mo'jzay ka intizar nahi kartay, unn kay leay mojza kabhi bhi roonuma nahi hota"
i am waiting so much for something to happen ! sometimes these things seem to be wishful thinkings, if we not trying then how things going to happen ? but i want a change a big change ,im sick of everything everywhere , it s only unjust! 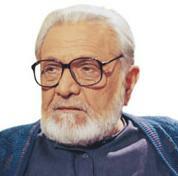 I think some people misunderstood the words of Ashfaq Ahmad sahib. All saints and wise people say that do your struggle "jidojehd" and never lose hope. Iss ka ye matlab YE nahi ke aadmi haath pe haath dharay baita rahi aur sirf mujzay ka intizar karta rahay. Nahi balka insaan ko aik vision ya aik maqsad ke liay sary zindage struggle kartay rehna chahye. Insha'Allah sun will rise from west..... Islam is spreading so fast in west. Hypocricy, proudness, illiteracy and indiscipline !!!!!!! Why we shouldn't be surprised, after all these are the people who spilled blood that was knee deep to the horses when then captured Jerusalem? Hazrat Mehdi ke lashkar mai InshAllah wohi log shamil hongay jo aaj ke zulm o jabar aur nainsafi ke zamany mai bey sar of samani ke halat mai kufar ke khilaf Afghanistan, Iraq ,Chechnya, Somalia, Yaman, kashmir, aur har maqboza musalman mulko mei kufar aur unn ke madadgaro ke khilaf qurbanyan day rahay hain. 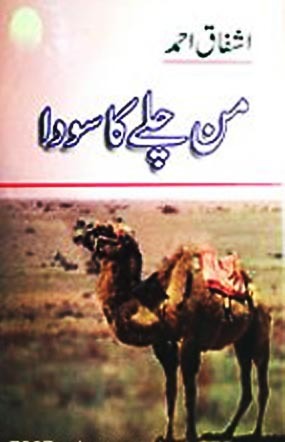 App chahay inn ko simply Mujahideen ka nam dain ya inhain Al Qaida, Taliban, Tanzeem ahle sunnat wal jamaat, Al shabab ,lashkar e taiba , Jaish e Muhammad ya Mujahideen ka koi bhe naam day dain. Laikin TTP ko iss mai shamil na karain kionke Ye log bewaqoofon ka aik tola hai jinho ney ghairo ke haath mai khel kar Pakistan mai jidojihad ko kafi nuqsaan Puhanchaya hai. Kia kisi musalman mulk ke fauj mai itni juraat hai ke ye kar ke dikha sakay ? ADNAN OKTAR : Truly We have given you the Great Abundance. “We have given you the Great Abundance.” That also gives an abjad value of 1453. The physical conquest in 1453. 1453 AD. When will the spiritual conquest take place? Hijri 1453 refers to the time of global dominion, insha’Allah. The hypocrites claimed that our Prophet’s (saas) line came to an end with the death of his son. They rejoiced at that, at the end of the line of our Prophet (saas). But our Prophet’s (saas) continued through his daughter. Global dominion in the End Times will be the answer to them all, insha’Allah. Hazrat Mahdi (as), from the line of our Prophet (saas) they said had come to an end, will rule the world. So much for his line coming to an end! Hazrat Mahdi (as) will rule the world, intellectually, in a glorious and fine manner. And he will rule it with the sayyids. The end of the world is a glorious one, with millions of sayyids. They said the line of our Prophet (saas) had come to an end, but it will rule the world, under a spiritual leadership, with millions of his descendants. Bediuzzaman speaks of “millions of sayyid joining together, and striving to discharge that duty together with him,” with Hazrat Mahdi (as). Why are you always stress in revealing the real identity to the people on the internet? Are you from CIA or Mosaad? If you like to fight the dajjali system than never reveal your real identity on the internet. you may call me coward or so but it is not cowardness actually it is strategy(Hikmat). keep in mind if dajjali system is not considering you as a threat than you can reveal your real identity. If you consider yourself in the opposite camp of dajjali system than you should use precaution and all the safety methods when going online. LOL If I am from CIA or Mosaad then I can easily identify you people :).... I don't want to know your real name. I only asked name because you people are using self made titles like Eye Opener, Muslim, Defender of Islam, Mujaid-e-Islam, Tahreek-e-Talibaan etc etc... Title is one which is given by other people for any success or service.... CIA or Mosaad can easily trace you whatever title you use or hide your name. All IP addresses may be saved in blogspot servers. They can trace anyone using IP address and mac address of your system.... If you are real helper of Imam Mahdi then angels will protect you because Imam Mahdi and his followers will be supported by Angels. It is reported in the hadith that Jibril a.s and Mikail a.s will be among the Mahdi's helpers. Hazrat Ali r.a was also from line of Israel (Hazret Dawood a.s). Imam Mahdi a.s will be Israeli from hazret Ali r.a and Ismaeli from hazret Fatima r.a. Imam Mahdi a.s will combine both branches. Relegious Jews will accept imam Mahdi and prophet Isa a.s as king Masiha and will become Muslim, Insha'Allah. They will struggle with us against atheist Jews and Muslims followers of Dajjal, Insha'Allah. Hazrat Ali bin Hazrat Abu talib bin Hazrat Abdul Mutlib was also from the line of Hazrat Ismaeel R.A. He was not from the line of Hazrat Dawood R.A. Hazrat Ali R.A and Hazrat Bibi Fatima R.A are from the same Line. According to Jewish belief, even if one is a convert, the fact that a person has a Jewish bloodline from a mother makes that person of Jewish origin. Blessed mother 'Fatima bint Asad ibn Hashim' of Hazret Ali r.a was daughter of Jewish lady whose father was Hofnai 32nd EXILARCH ruled 560-581. "...The position was restored in the 7th century, under Arab rule. Exilarchs continued to be appointed through the 11th century. Under Arab rule, Muslims treated the exilarch with great pomp and circumstance." As per Jewish belief, only the child whose mother is a Jew, is regarded as a Jewish child. They will not accept anyone as Jew if 1400 years ago, some one had any jewish link. Had your theoratical assumptions been true, then the Jews of Madina who were expelled would not have fought against Hazrat Ali R.A in Khyber where HAzrat Ali famously killed Marhab. If the Jews of that time did not realise the blood line of Hazrat Ali that time and did not pay any honour to it, how will they recognize or pay honour to Hazrat Imam Mehdi R.A who will be from the line of HAzrat Imam Hassan R.A.
Sheikh Nazim criticize the false beliefs of Christianity and Shia. Quran also criticize Trinity. Due to slow internet I couldn't see your provided video but the title of this video is "Head of Saints Sheikh Nazim speaking against shia and christians ideas". He speaking against IDEAS. Criticizing others using youtube video is not way of Sufis... These are not secrete video. They are also available in their websites. Faisal Farooq@"According to Jewish belief, even if one is a convert, the fact that a person has a Jewish bloodline from a mother makes that person of Jewish origin." Blessed mother 'Fatima bint Asad ibn Hashim' of Hazret Ali r.a was daughter of Jewish lady whose father was Hofnai 32nd EXILARCH ruled 560-581." For God sake Faisal keep your mouth shut. The jews never believe that hazrat Fatima r.a was a jew(Nauozu BiAllah). If you are true in your claim about jews belief than please tell me why the jews consider their enemy no 1 the nation which origionated from Hypocrite Abdullah Ibn Saba the jew false conversant to Islam? lol... 'Fatima bint Asad ibn Hashim' and 'Hazret Fatima r.a' are different. Fatima bint Asad was mother of Hazret Ali r.a and Hazret Fatima r.a (daughter of Prophet s.a.w) was wife of Hazret Ali.... Also Fatima bint Asad was not Jew but his mother was daughter of Jew. It is pre-Islamic history in which Israeli and Ismaeli married with each other....Read history... If don't know then keep your mouth.... Also Quran allows Muslim to marry with Jew lady. Prophet Muhammad (s.a.w) also married with Jew lady. The MOTHER of FATIMA bint Asad is ZAHNA, daughter of the EXILARCH KAPHNAI of BAGHDAD, descendant of King David of Jerusalem. Her brother, also born to KAPHNAI [in English, sometimes written as Hofnai] is HANINAI. But the name of the WIFE of KAPHNAI [Hofnai] is not included in the websites which I have found in English and German and in one other language as well. I have not tried websites in Italian or French, assuming that data of this sort ought to be provided in English. Anyone can type in EXILARCH [in Aramaiac, Resh Galutha] in order to find the names of the ancestors of KAPHNAI C. 530 - C. 580/581, son of AHUNAI 550-560, son of ZUTRA II 512-520, son of HANINAI etc. going back directly to ZERUBBABEL living in captivity in BABLYON - and his ancestors to King DAVID. Consequently, the sons born to 'ALI, grandson of the PRINCESS ZAHNA, and their descendants are all physically linked to KING DAVID, PEACE BE UPON HIM. In Arabic "Da-ud", and in classical Hebrew DAWID which means "beloved" identical to the splendid name in Arabic HABIB. My mother's father is a descendant of HUSSEIN, brother of HASSAN. In Baghdad the EXILARCHS were highly respected by the ARABS when established this city as centre of administration. Such descent is significant due to the line from ISHMAEL physically uniting those who look to their common progenitor the sanctified Patriarch ABRAHAM/IBRAHIM thanks to his sons Isaac and Ishmael. May good will prevail among us all. Holy Lady Fatima Al Zahra was the daughter of Lady Khadija. Lady Fatima Bint Assad was daughter of the Jewish Princess Zahna. The famous and very respected great grandfather of the Holy Prophet, Hazrat Hashim, had asked the hand of Princess Zahna for his son Assad. Hence Hazrat Ali was born inside the Holy Kabah built by Abraham father of both Arabs and Jews. Therefore, Faisal Farooq is right.